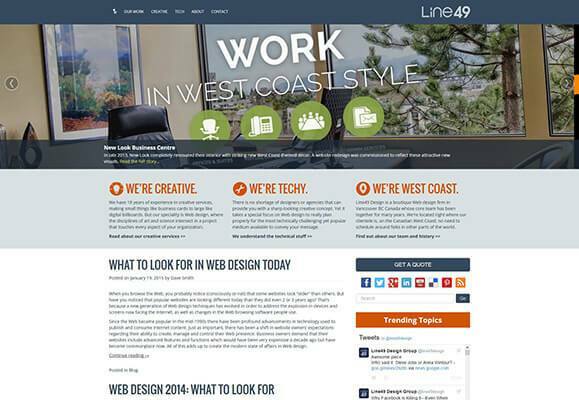 Line49 Design is a boutique Web services firm based in Vancouver BC, whose “virtual team” consists of a group of expert local independent contractors. Laurelle Keashly has been a member of that team as a web developer for a number of years. Her duties have included Open-Source CMS-based development for startup and redesign projects, using PHP, MySQL, XHTML and CSS, as well as providing tactical consulting and Web Hosting management. Laurelle is an intelligent and motivated individual. She is cheerful and willing to assist with any task. Laurelle consistently turns out work faster than expected, and is that rare team member that is always asking to take on more. Her capacity to learn quickly and conduct self-managed research makes her ideal for taking on tasks that require sourcing out solutions. Laurelle is part of the Line49 Design team, but is available for other projects as well. I highly recommend her for any project, because she is focused, efficient, loyal, creative, and contributes over and above expectations.